-What voltage regulator came with a 71 M code? Mine is painted black by the previous owner. -And last, I have the 4 Speed Toploader. The shifter boot is ripped. Where can I find a new one? Also all that separates the shifter from the carpet is the boot, am I missing a console or something? I think you can click the images for a bigger size. I'll try and take a few of the easy ones. As for your center dash, yours is correct. That top section you are questioning holds two deflector vents for the A/C on cars so equipped. It is just a little storage nook on non-AC cars like yours. As for your shifter boot - might try Don at Ohio Mustang Supply. Don't think they are being repro'd. But he'll know. Hello icejawa, glad you grouped your questions like you did, much easier to try to get you the answers you need. 71's had a Autolite regulator with a blue cover and yellow lettering. There were approx 11 different engineering numbers used, but C8AF and C8TF are the two most common you will see on 71's. If your car is going to be driven and just not a show car I would suggest that you obtain a new style electronic regular such as a Motorcraft GR-540B or Ford FOPZ-10316-A. The repo regulators on the market now are JUNK and will put you down. If you want the original look put the old school cover on the new electronic regulator. 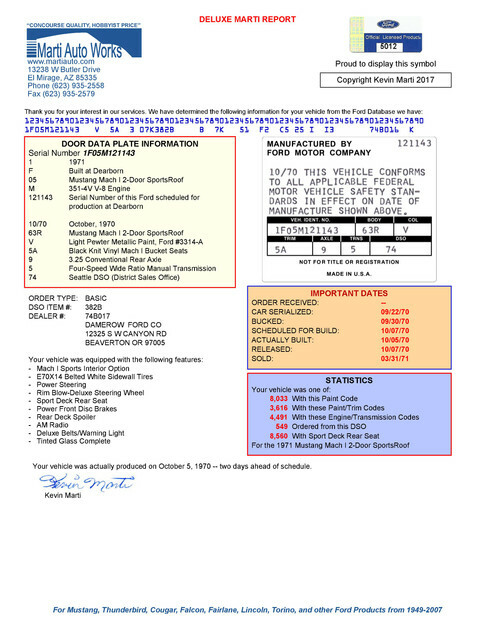 The correct original bulb is Industry# 94 or Ford part# DOSZ-13466-A. 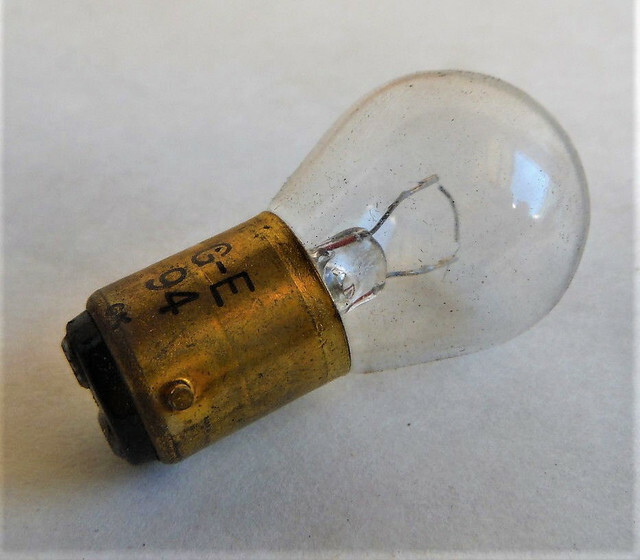 It is a double contact single filament bulb. The problem is that the 94 bulb was only used on the 71-72 Mustang and 70-71 T-Bird. So the part stores will try to push the 1157 bulb since they either don't want to stock a slow selling bulb or don't have a clue as to what bulb is really needed. 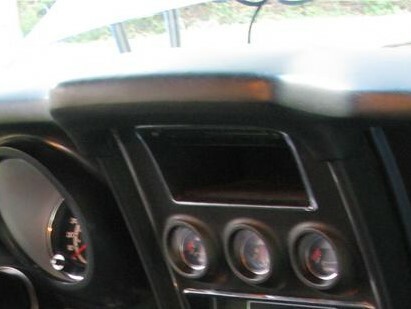 #4 [My center dash looks like this one pictured below. Am I missing vents or something in the top compartment? (non-A/C car)] Boss1Ray has you covered on this. Like Ray posted the 71 4sp shifter boot (D1ZZ-7277-B) to my knowledge, is not being reproduced. If you do happen to find one the prices are straight out of the Twilight Zone! The only thing you can do at this time is to use the 4sp boot used on the 70 Mustang and 70-71 Torino (DOZZ-7277-B). Not an exact fit can can be made to work. 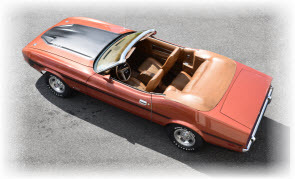 All 71-73 Mustangs had a mini console standard. 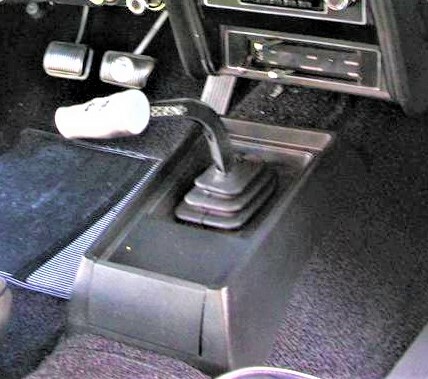 The long console was an option and would have been listed under the "Your Vehicle Was Equipped With The Following Features" if it had been ordered with one. Secluff pretty much nailed it. I'll just add some links. I've been running the '70 boot since it first became available in the 90's. Works fine. Not 100% correct, but I really don't care. There's also a lower boot. If you plan on driving your car alot, wouldn't be a bad idea to pick one up. ... and a filler plate that goes around the shifter boot, it covers the screws and helps keep things from falling down past the boot. About 3/4 down on the page linked below is a template to make one. Also, the 429 Megasite is a great resource for anything 71 related. I have a working Ford Philco Am Radio, like the one Secluff pictured. PM me if you are interested in buying it. The only one answered I might have a question on is the P.S. pump. I thought Ford quit using the weird blue like almost candy blue over black in 1970. I do have a can of it from a special mix. Probably dried up, lol. My 72 and 73 cars all have a satin black on the PS pump and bracket. I have like three or 4 spares and they are all satin black also and one was off a 71 M code. You will also need a spacer to go behind the PS bracket since you do not have Air cond. to put the pulley in the correct position. Since you have the PS off you should go to your local parts store and get a seal kit and go ahead and install. You will need to borrow their puller for the pulley and take a picture of where the pulley is located there is not a stop on the shaft. There is also noting to clock the tank part of the housing in place so not where it is also. If you do the seal kit take lots of pictures there are lots of strange little pieces inside that pump. Clean Clean Clean is the word to keep it working quite. On the cubby hole in top center of dash. It was coated with the fuzzy stuff like the inside of the long consoles were. No convenience group on your car so no map light up there either. David, I've learned to never say "Never" when dealing with a mass produced vehicle. Considering the sheer volume of vendors Ford dealt with, pumps with black housings were entirely possible. 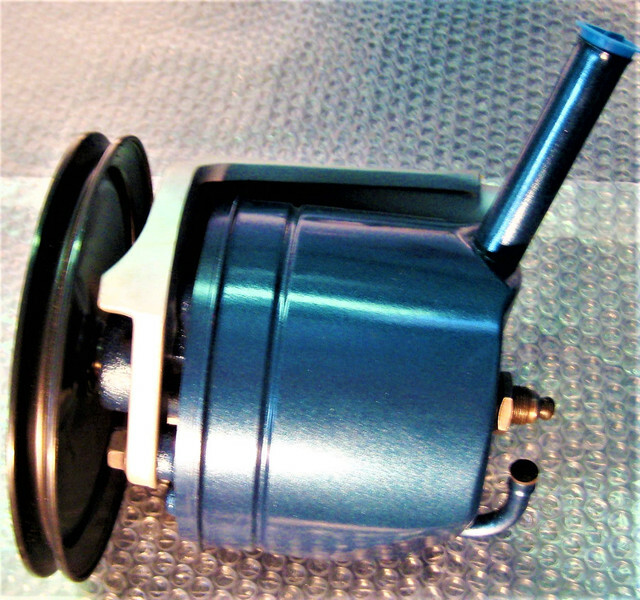 I know some of the over the counter new p/s service pumps we sold were a mix between teal and black. Both of my 71 "M" Mach1's ( 9/21/70 and 7/28/71) and all three 72 Gran Torino's (2 Q and one 429) had the teal pump. Anything I bought new after that had the Ford pump with the black plastic housing. The odd thing is when I look at the "concourse" pictures of Boss 351s (not sure if equipped with same accessories), they have the satin black P/S pumps. Anyways I got the bulbs and shifter boot as well as fresh oil coming in the mail. I also found the original voltage regulator in my box of parts, and popped the cover off and put it on the aftermarket one the previous owner had in there. I'm having trouble finding the small console anywhere online, oh well. They all just have the section of the full console that is kind of a trapezoid shape. Gonna clean out all dirt from the car and polish the trim/rear bumper, and rebuild the shifter and linkage while I wait on those parts. Easy! This Mach is Almost Great Again.